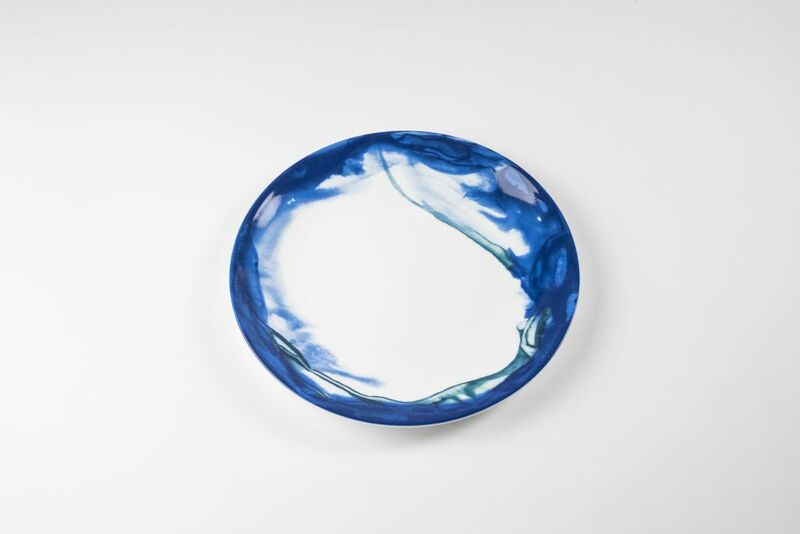 Californian based artist Deborah’s love of the water has heavily influenced her work, which often includes references of carved landscapes and the unexpected organic shapes and colours we prize in nature; the results being contemplations of space, fluidity and light. This collection of china represents Allen's watercolour techniques and is inspired by Emily's mother, Jenny Johnson. 5% of all proceeds from the sale of the collection will be donated to Macmillan Cancer Support. Dinner Plate, Salad Plate, Bowl, Mug – Fine Bone China.